Heat oven to 375 degrees. Rub mushrooms with oil, place on parchment or foil lined sheet pan. Tops down. Saute Shallots or leeks with garlic until tender, add kale and Italian seasoning, saute until tender, not limp, add pinenuts or hempseeds and half the cheese, salt and pepper. mix. 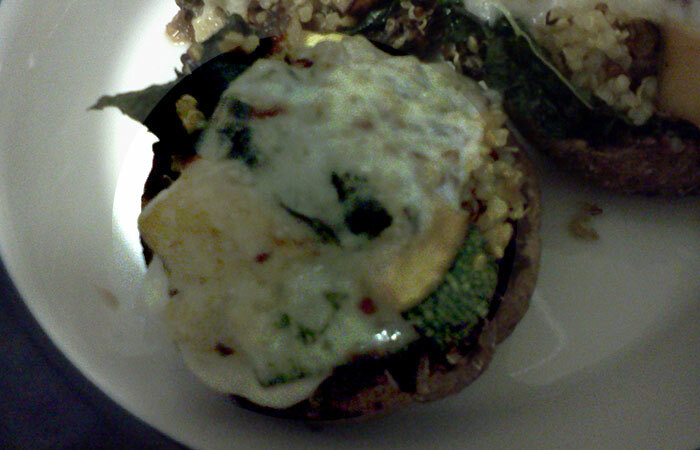 put into mushrooms, sprinkle with remaining cheese. Bake ~20 min or until mushrooms are tender and cheese is melted.